Are Driver-Facing Cameras Coming to Your Truck? There have been some strong opinions from our members as they discuss the idea of implementing driver-facing cameras. These cameras have been another hot trucking topic that differs greatly depending on which side you ask. 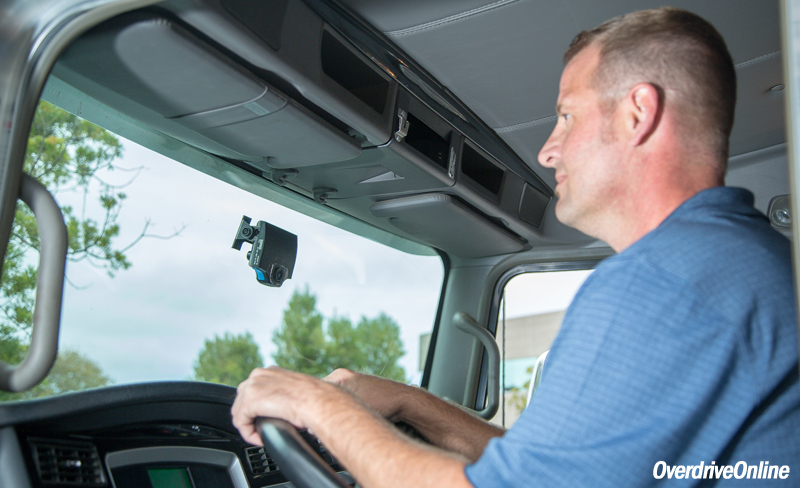 Driver-facing cameras can become a trucker’s best friend or worst enemy depending on how careful they are on the road. This has been the stance taken by Swift Transportation and Martin Transportation System upon implementing these cameras. Martin Transportation System with nearly 1000 trucks and 1400 drivers in its fleet is one of the early adopters of driver-facing cameras. Jeff Wood Martin’s director of safety and former truck driver believes that these cameras are there to help the truckers. Swift Transportation one of the nation’s largest freight trucking companies adopted the same driver-facing camera system in 2015 and ensured that truckers will not be monitored live and will only be pulled from the database to review footage from accidents. Swift’s president and COO told the drivers that “we are not watching the driver; we are watching out for the driver”. However controversial the driver-facing cameras may be it has been proven to work; the Commercial Carrier Journal reported that a food distributor experienced 22 percent fewer accidents in its first two years of camera installations. But drivers feel that these cameras are another item that invades their privacy just like the implementation of electronic logging devices. A CAD member in the forum went as far to say that a driver-facing camera in his truck would lead him to quit and he isn’t alone in his sentiment. Do you agree with Swift and Martin that driver-facing cameras are needed for safety reasons? Or are they an invasion of privacy? Share your thoughts with fellow truckers on CAD’s Forum!